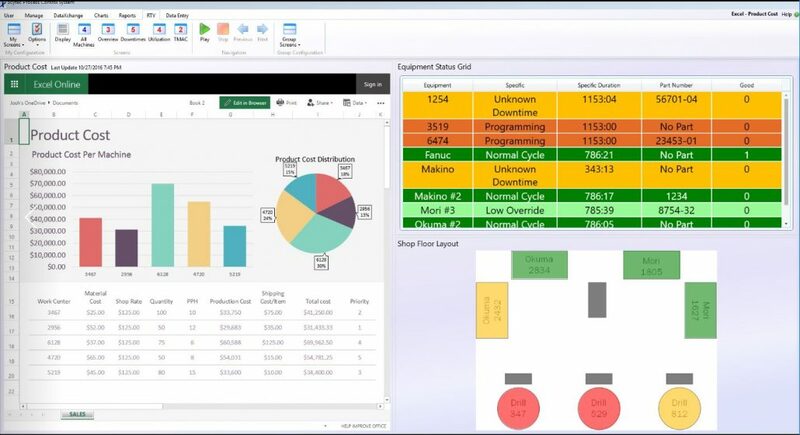 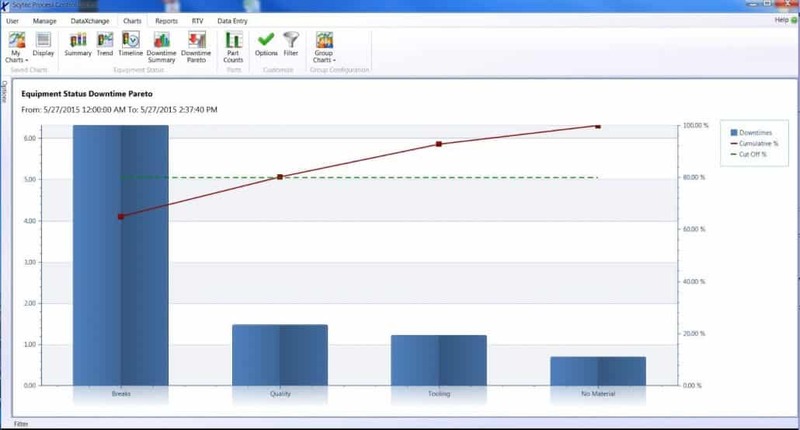 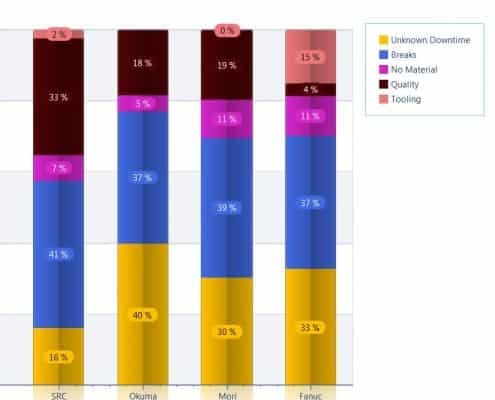 A variety of DataXchange charts and reports are available in the Process Control System to bring value to the data collected from your shop floor equipment. Reporting groups are user-definable equipment groups that provide the ability to structure data in a variety of different ways. 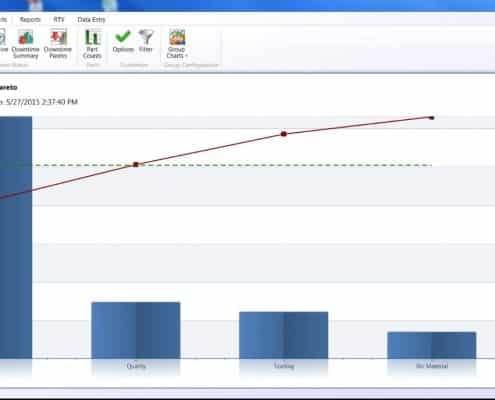 An unlimited amount of groups can be created, allowing for quick comparison of the data in different formats. 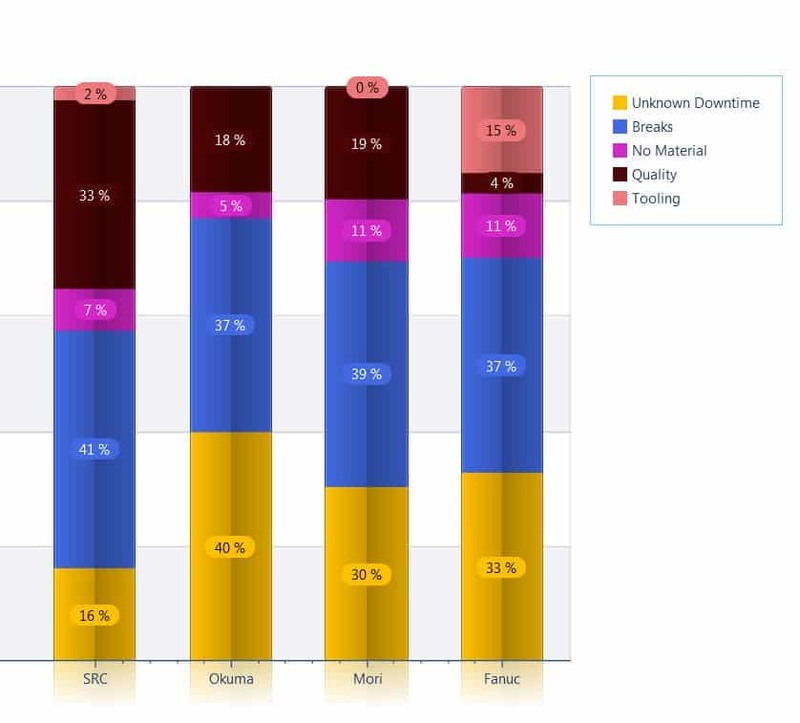 Group the data by functional area, equipment type, or process, even across multiple plants. 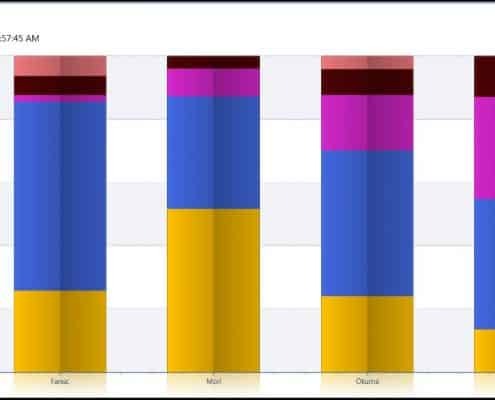 The reporting groups allow flexibility when it comes to reporting rather than being restricted by a structure based on physical location. 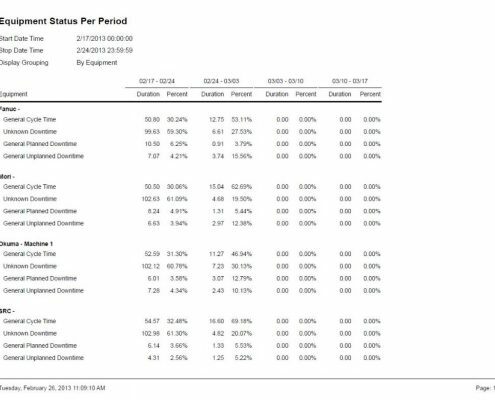 The equipment status charts show the percentage of time in each status for a selected time period. 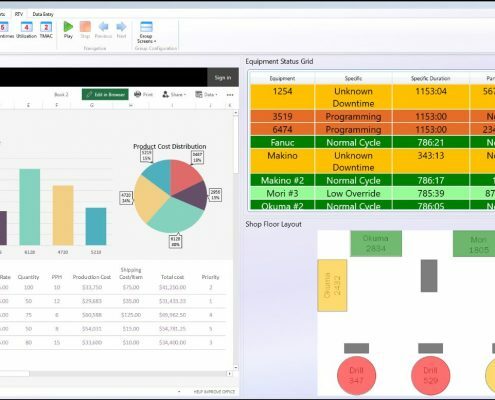 The chart can be displayed showing individual pieces of equipment groups allowing the viewing and comparing the statuses. 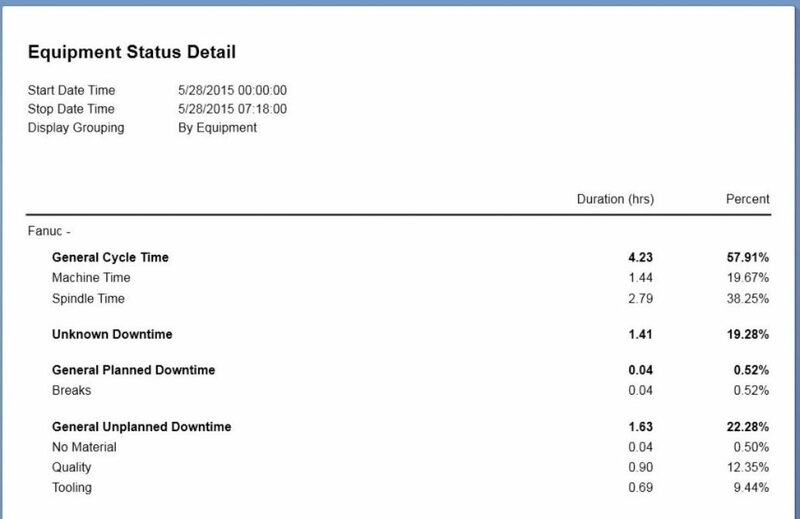 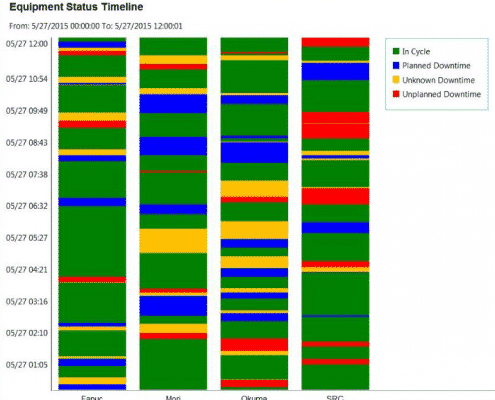 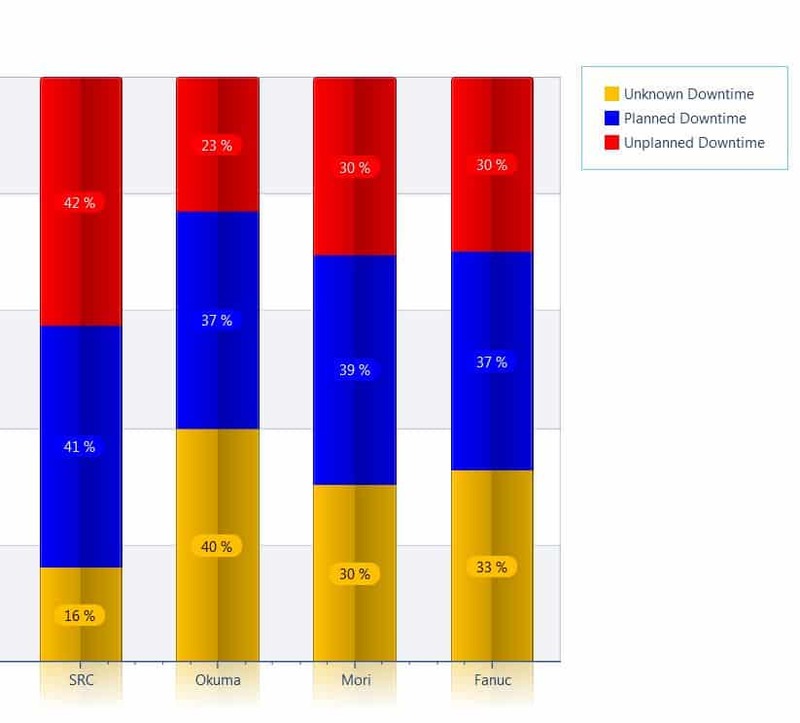 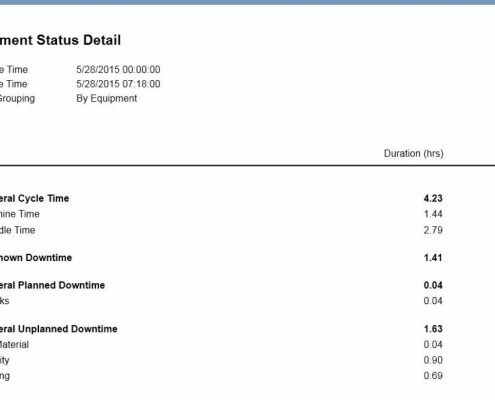 Planned and Unplanned Downtimes for individual or groups of equipment can be displayed for a selected time frame. 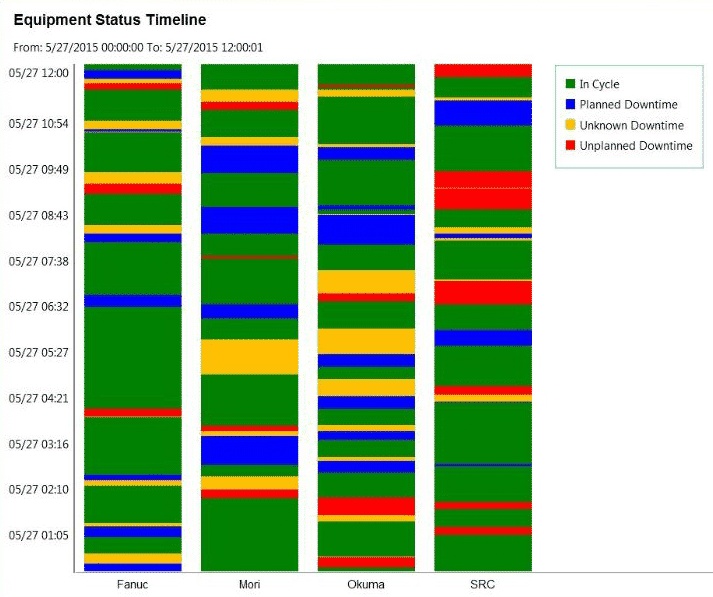 The equipment status trend charts will plot one or multiple statuses for individual or groups of equipment over a period of time. 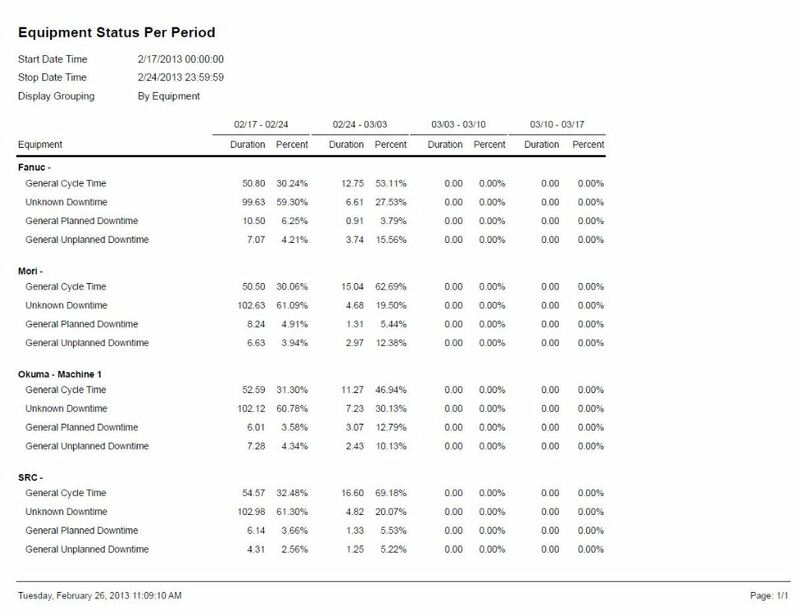 In the facility, on the road, from home; the data is available at all times from any location accessible from a PC, a tablet or a phone.